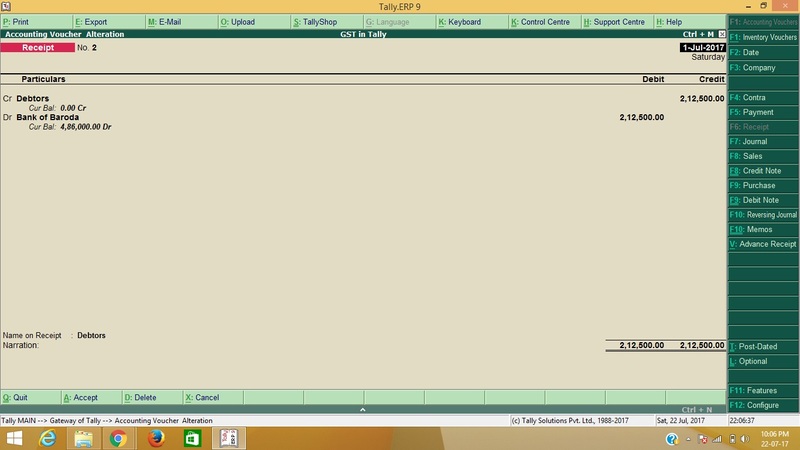 Home / TallyERP.9 Lessons / How to make a receipt voucher in Tally? How to make a receipt voucher in Tally? Receipt payment voucher is used for received payment from supplier/ buyer or any party or income received by any other source. Rs. 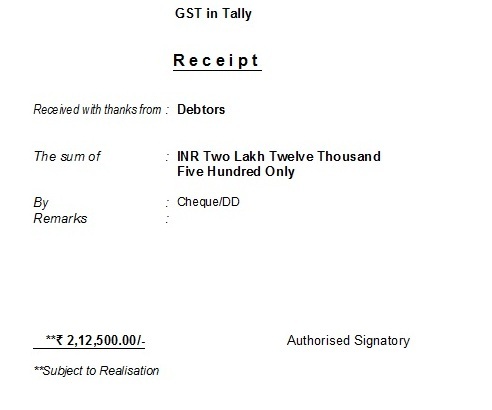 212500 deposited in bank through RTGS, Cheque, Cash, NEFT. Suppose if you sold goods through cash sales then you must enter a receipt voucher mentioned as above. How to Print Receipt voucher with Thanks. There is another method to print receipt voucher or confirmation voucher with vote of thanks. Select yes to "Print Formal receipt after saving." Now create a receipt voucher and save it. 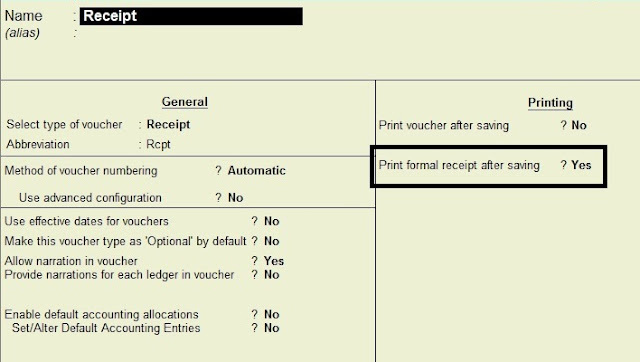 After save the receipt voucher go to print command, by default 1st print option is normal receipt voucher and 2nd print is confirmation voucher with thanks.